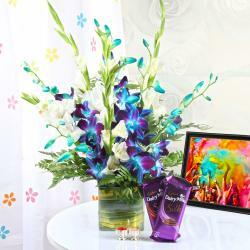 Product Consist : 10 Pink Roses Basket, 16 Pcs Ferrero Rocher Chocolate Box along with Holi Tikka. Holi is celebrated all around the world, but most in parts of India. Appealing, elegant and unique for a festival gift purpose, this Holi Tikka Gift of Pink Roses and Ferrero Rocher Chocolate is a perfect gift for your friends and family relatives as well so indirectly it is a traditional symbol hamper of happiness. 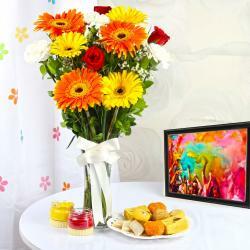 Now wish your loved ones a colourful and safe Holi with this flower hamper. We send the emotions with our products so shower your love to your loved ones with colors of happiness and joy as you surprise her or him with this hamper on Holi. An ideal way to make their Holi fun-filled and memorable. This combo is presented as gift to any one like to your Wife or Husband and many more who is far from you. If you are looking for some exotic Holi Hampers for your dear ones, friends and family, then head to Giftacrossindia.com the largest variety gifting store of India. Browse your favorite products, it is very conveniently available for online shopping from anywhere in India with Free Shipping. 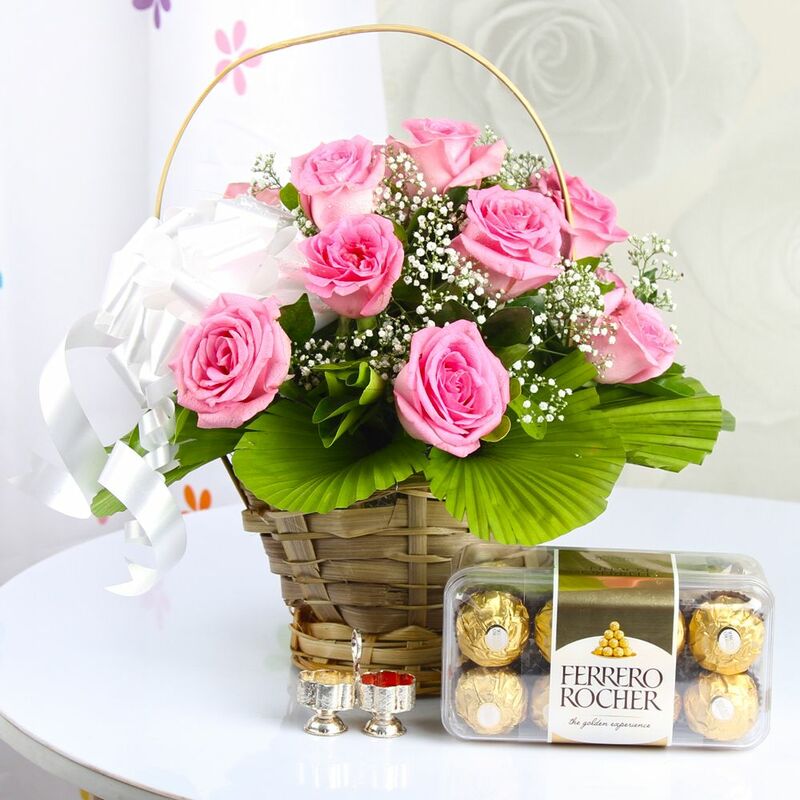 Product Includes : 10 Pink Roses Basket, 16 Pcs Ferrero Rocher Chocolate Box along with Holi Tikka.